Join us for our 42nd season and discover the wonders of world-class chamber music. Compelling ensembles and imaginative programming make us the best arts value in town and we are honored to welcome you — our appreciative, knowledgeable and supportive audience — to help make these concert series the success they are today. One of Calgary Pro Musica’s most exciting and diverse seasons yet; with artists from Israel, the Netherlands, United States, Czech Republic and, of course, Canada. Highlights of the season include the return of both Tafelmusik and the Pavel Haas String Quartet, the Calgary premiere of the ARC Ensemble and a fascinating program of mixed chamber works by the Camerata RCO to end the season. We offer a Masters Series, Horizons Series, Family Concert and Young Artists concerts for you to enjoy. 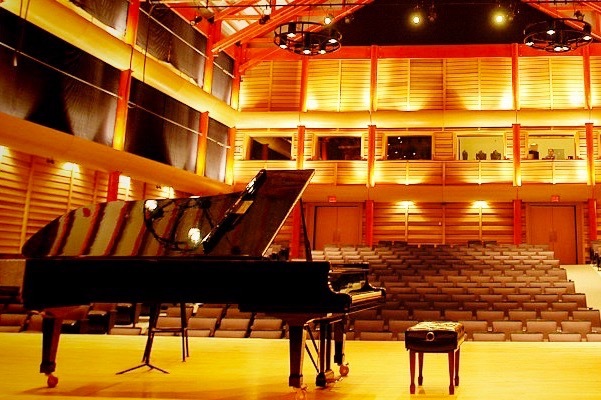 All performances are held in the beautiful Eckhardt-Gramatté Hall at the University of Calgary. or receive occasional news and newsletters about Calgary Pro Musica.